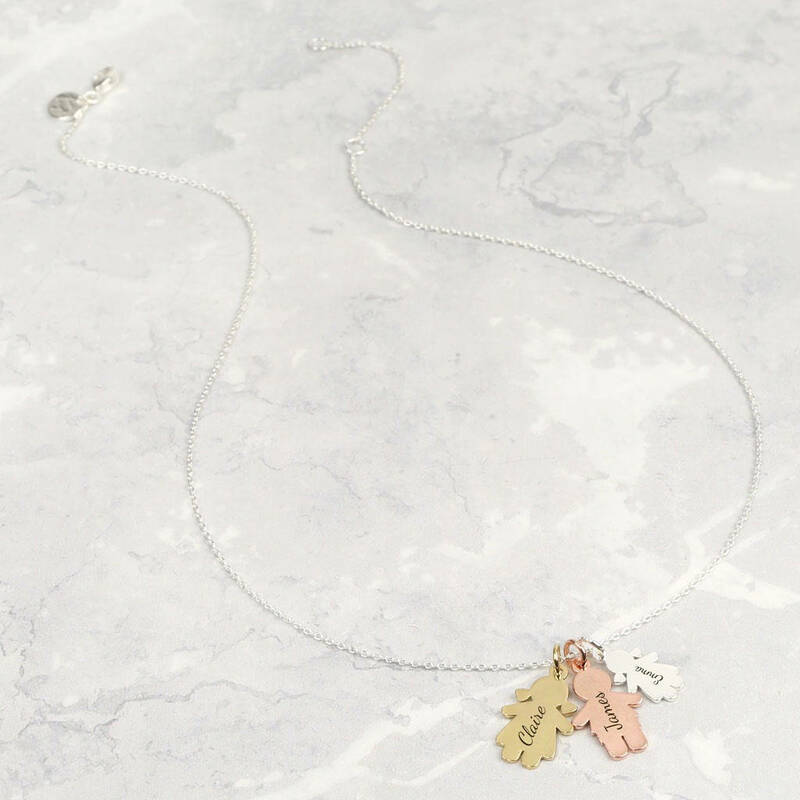 Looking for delicate jewellery with a sentimental touch? 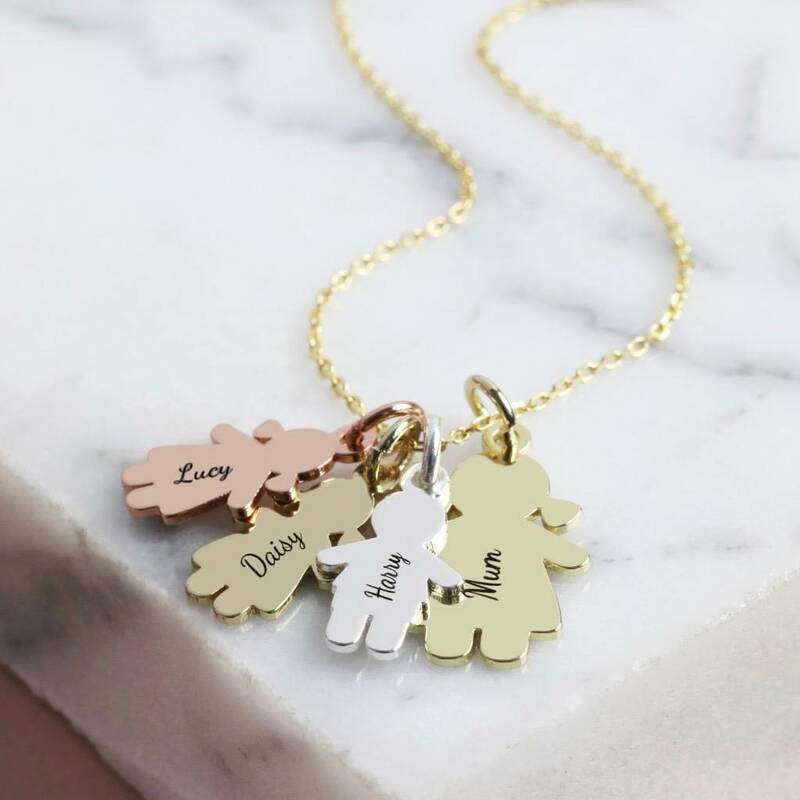 Try our family charm necklace, from the Lisa Angel Handmade Jewellery Collection. 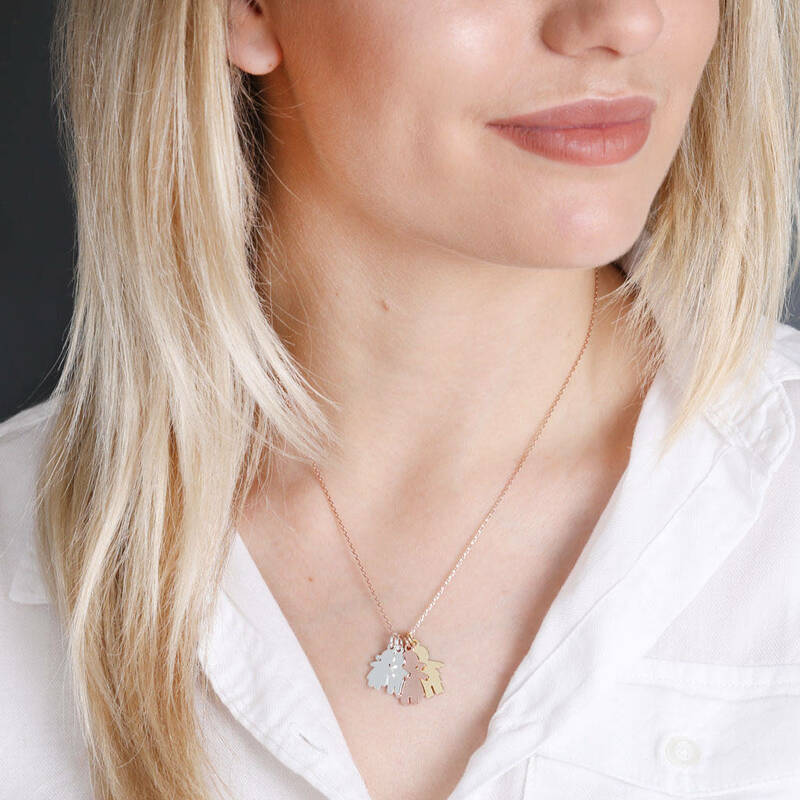 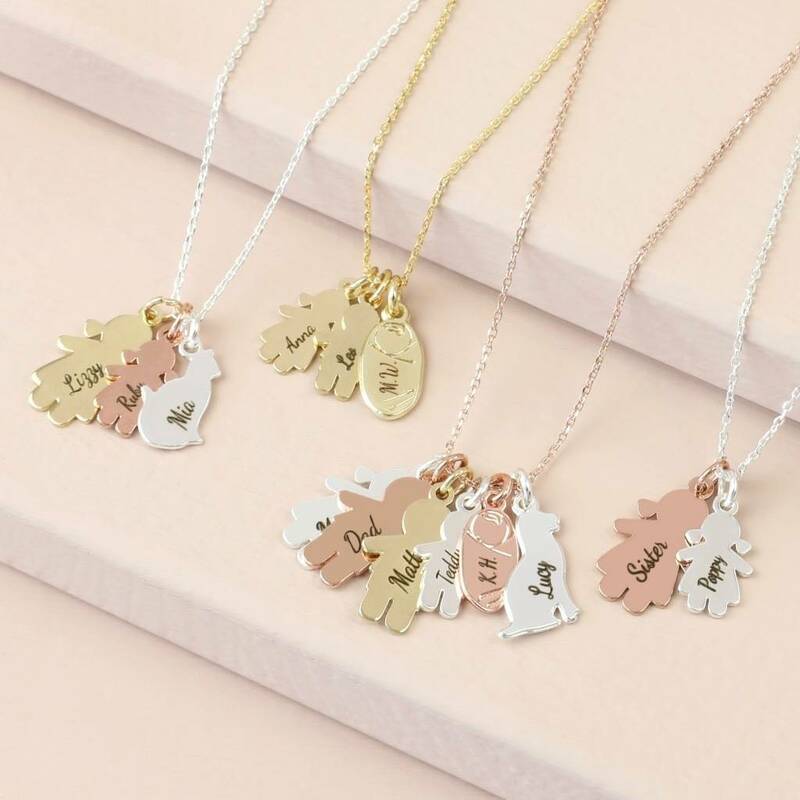 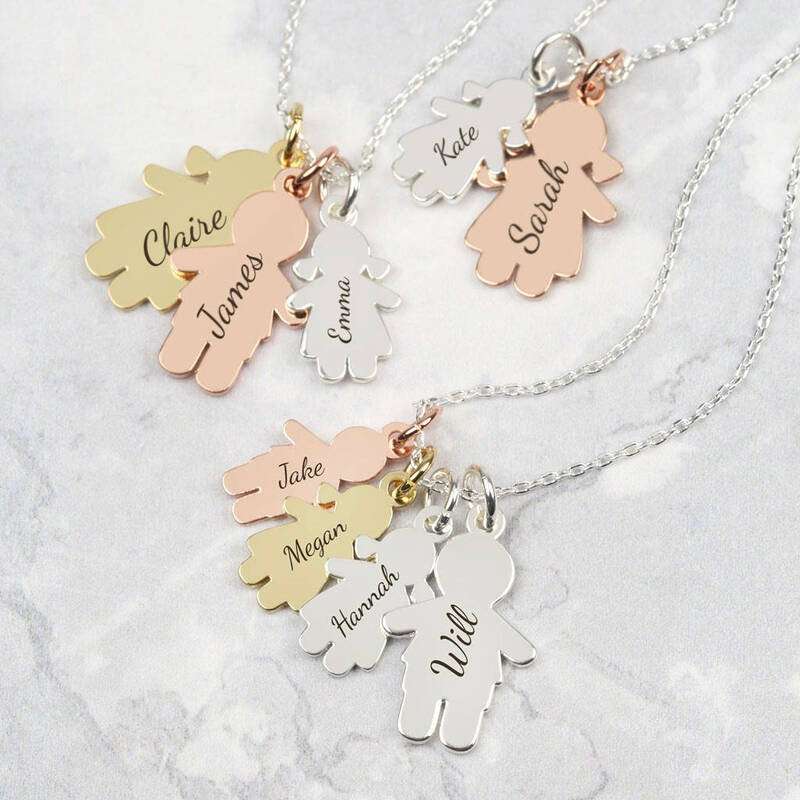 This necklace features two, three, four, five or six charms in your choice of colour, size, and shape from a classic girl outline and a classic boy outline. 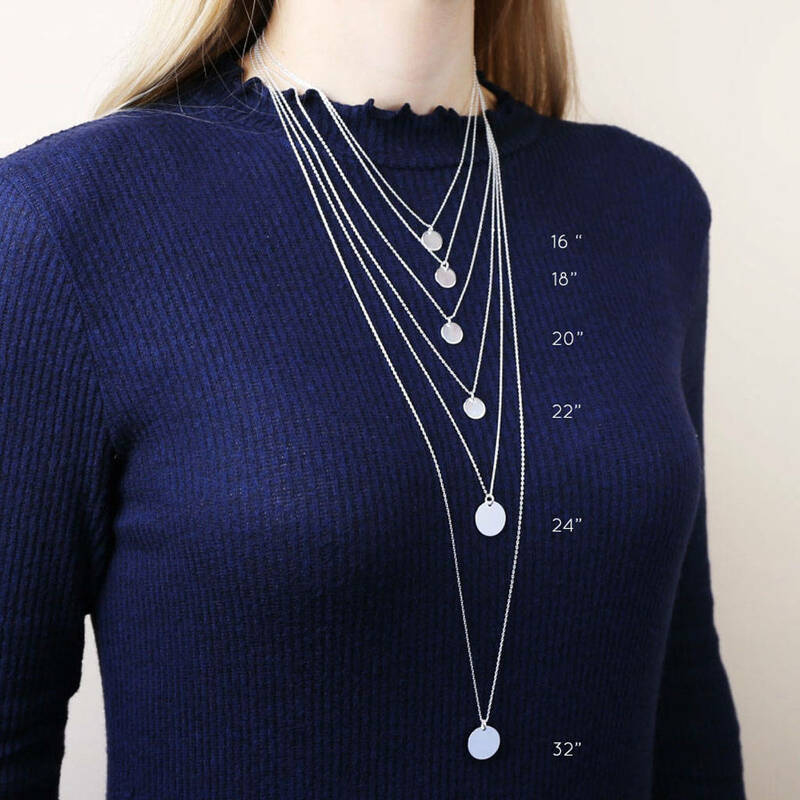 Your charms will be suspended from a delicate trace chain which fastens via a simple lobster clasp. 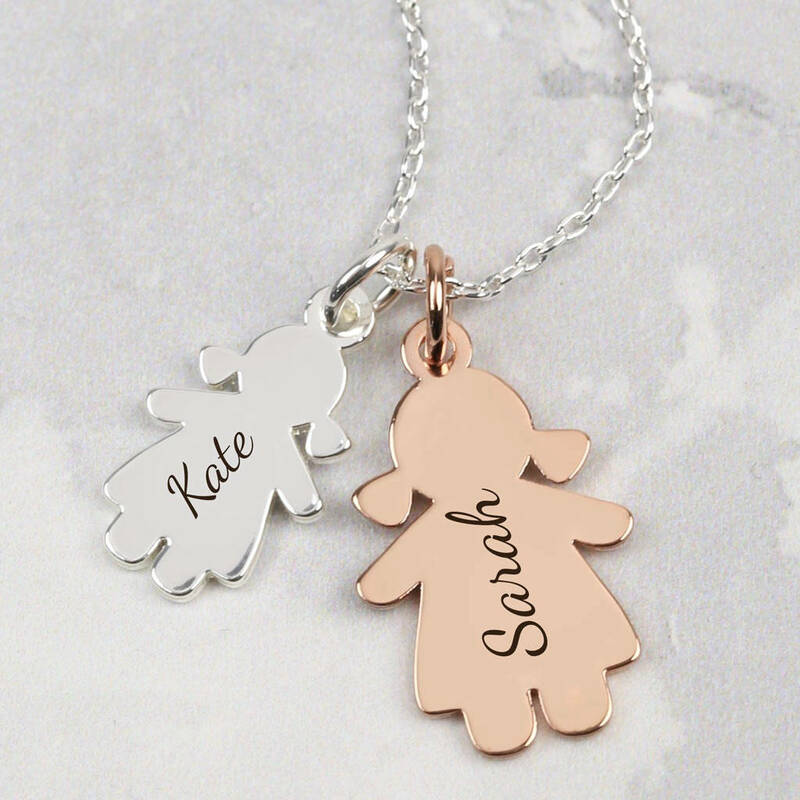 This necklace would make the perfect gift for a mother or grandmother, or anyone wanting to celebrate the people in their lives! 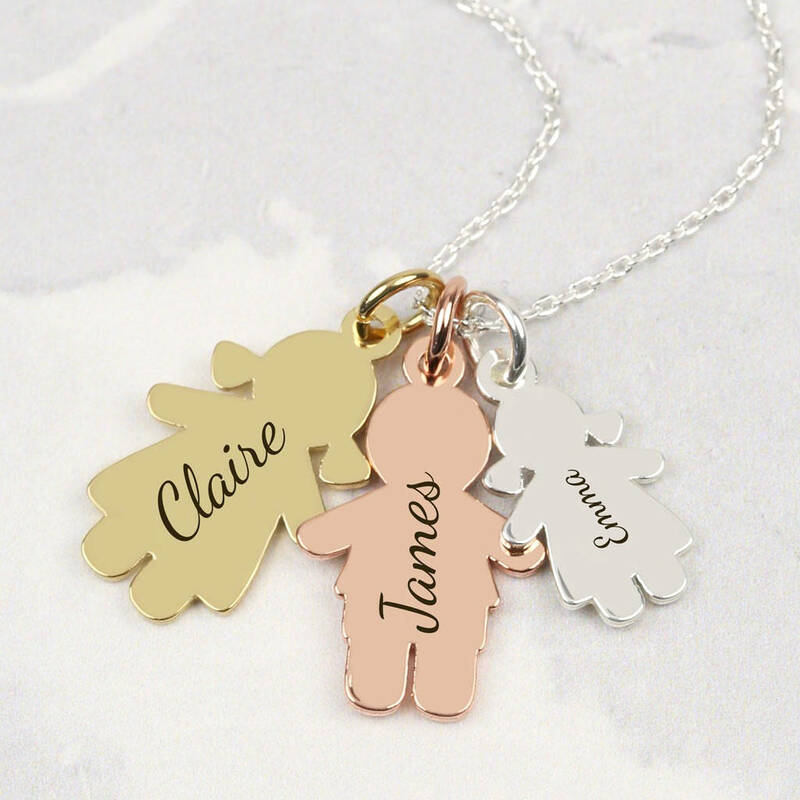 Personalisation: the family member charms in the platings and size of your choice, engraved with names. 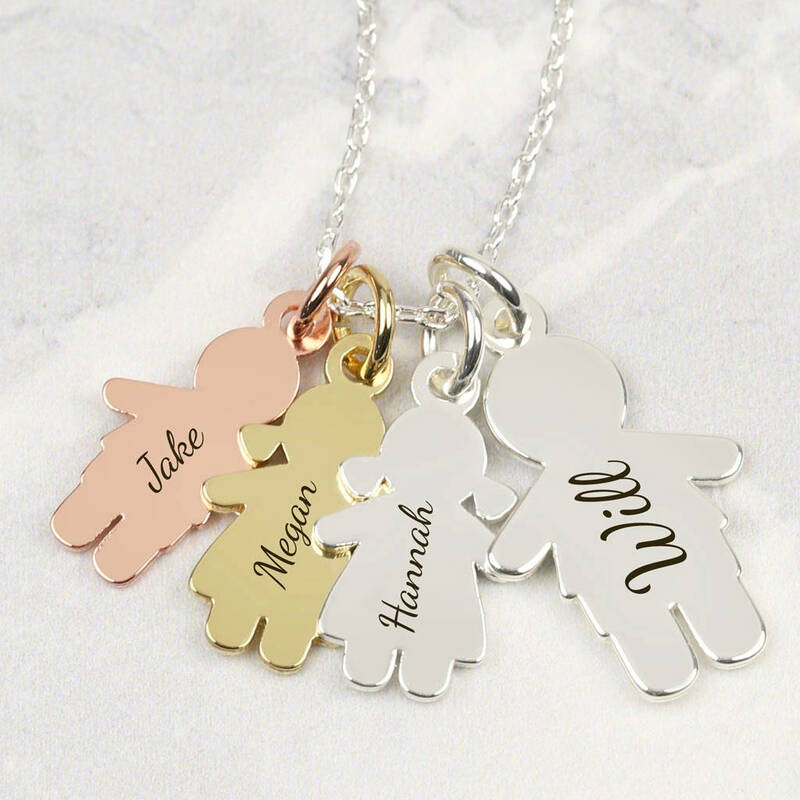 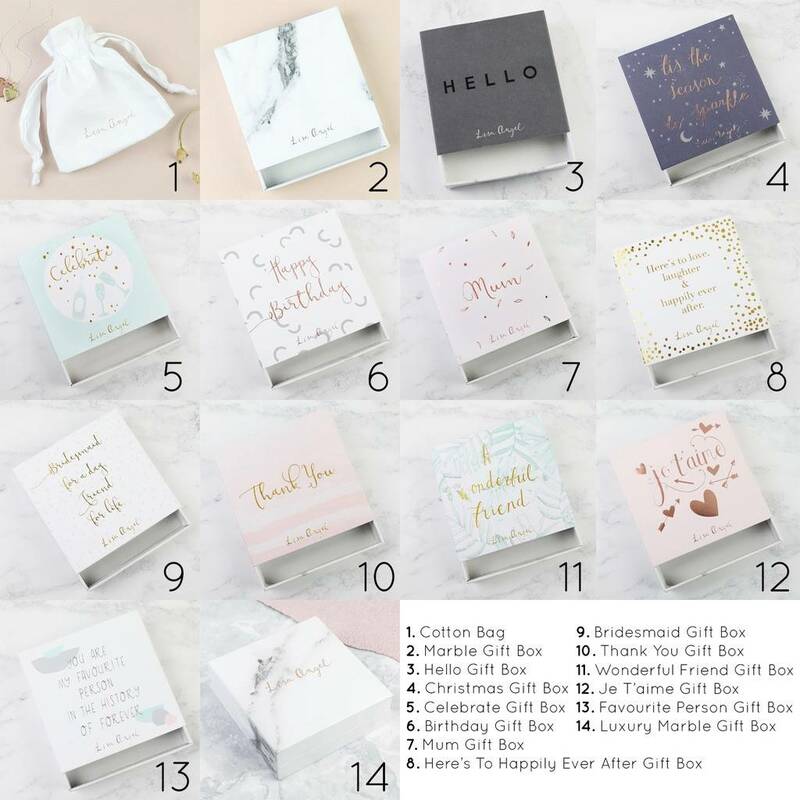 2 people are included in the price, any extra people are an additional £8 each. Character limits: small charms - up to 8 characters. 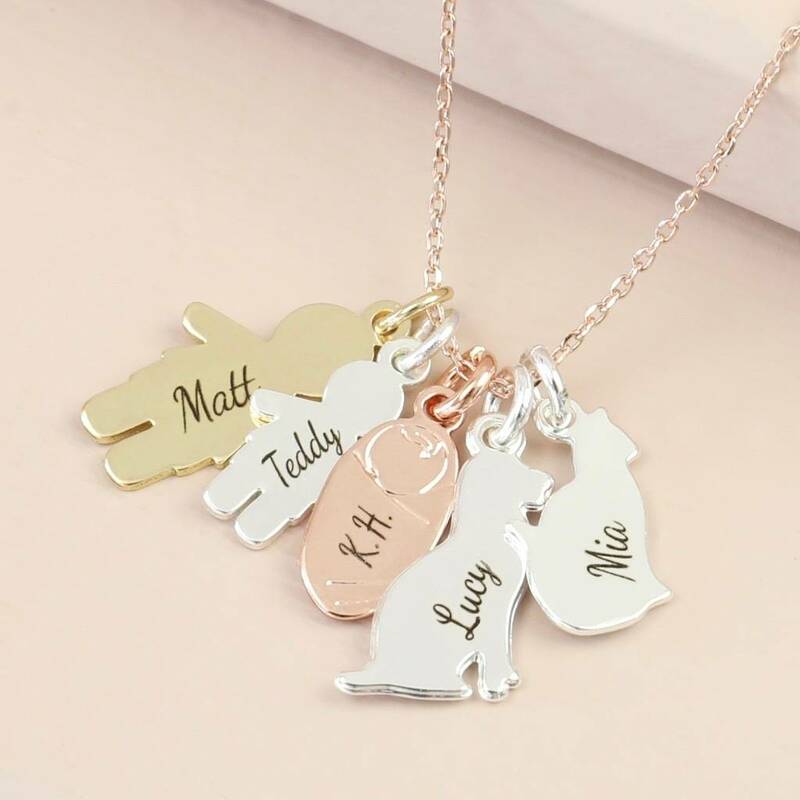 Large charms - up to 11 characters.